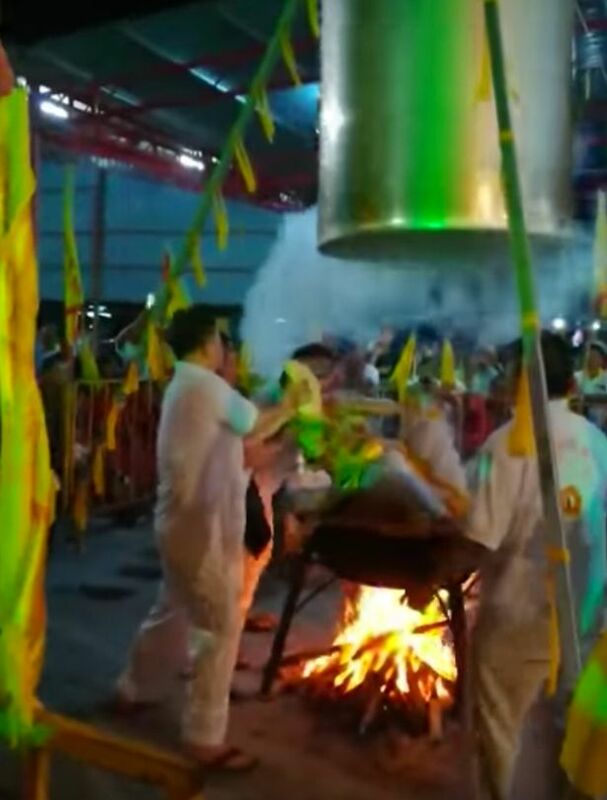 'Black Dog' Lim Ba suffered a massive heart attack and second-degree burns during the stunt inside a huge metal pot with a fire underneath. Devotees first discovered something was wrong when desperate knocks from inside the boiling hot “human steam” cover could be heard about 30 minutes in. They quickly removed the cover to discover him unconscious. Horrifying footage shows him convulsing uncontrollably as people scramble to get him away from the heat and onto the ground. His arms continue jolting into the air as he's laid down and someone rushes for help. 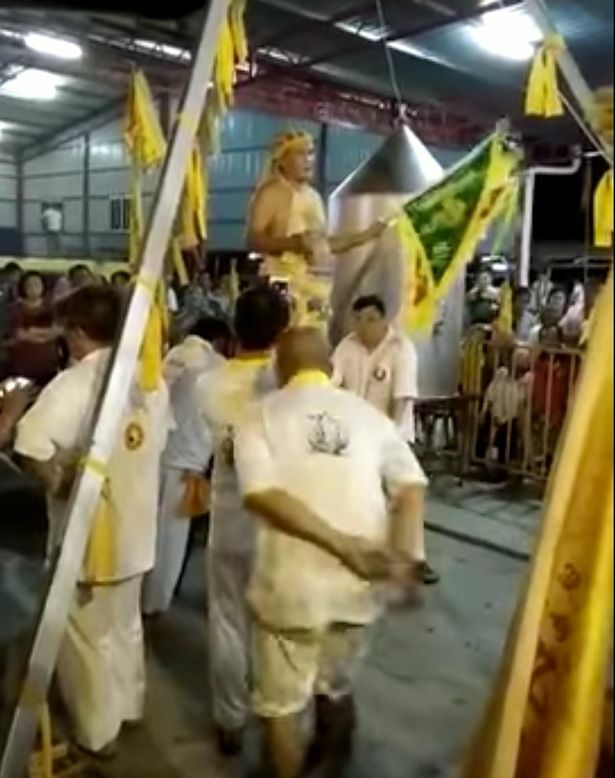 Lim, 68, was performing a “human steaming” stunt during a Nine Emperor God prayer session at Chinese temple Kuala Sanglang Qinglong, in Malaysia's Suala Sanglang. The Taoist medium was pronounced dead at the scene by paramedics. His youngest son, Kang Huai, 32, said his father began performing the steaming act around 10pm on Monday night. He said his father was on medication for hypertension and those outside know when to remove the cover. He told Malayasia's The Star : “By the time the ambulance arrived, my father had stopped breathing. Despite repeated pleas to stop, Lim had been performing the human-steaming stunt for more than 10 years - one time staying in there for 75 minutes. 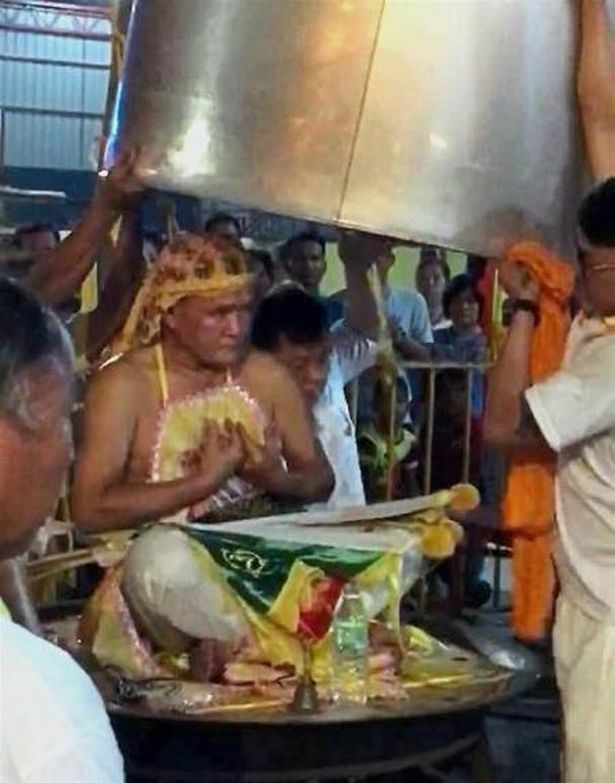 During a recent performance of it at a Nine Emperor Gods celebration in Ayer Tawar, Perak, Kang Huai said food - such as rice, sweet corn and vegetarian buns - were put inside the wok to be steamed as well. “My mother Ch’ng Siew Hong, my sisters and I are very sad. Our cheerful father has left us forever,” he said. Lim’s daughter Wei Ling, 37, said her father complained about the heat on the way to the stunt and had lost his appetitie. Lim was considered a Taoist medium, following the traditional Chinese religion, which emphasises living in harmony with the Tao. 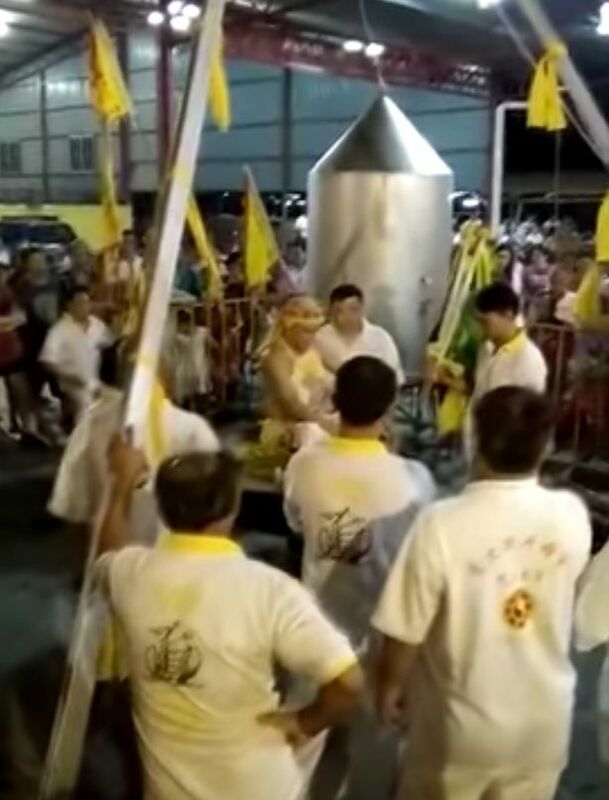 The Federation of Taoist Associations of Malaysia (FTAM) president Tan Hoe Chioew said these kinds of rituals were not really part of mainstream Taoist rites and was more of a fa shu (theurgy or magic) performance. He added that such feats were done to attract believers and show the performer’s physical endurance. “But in general, doing such physical endurance stunts is not advisable,” said Tan. 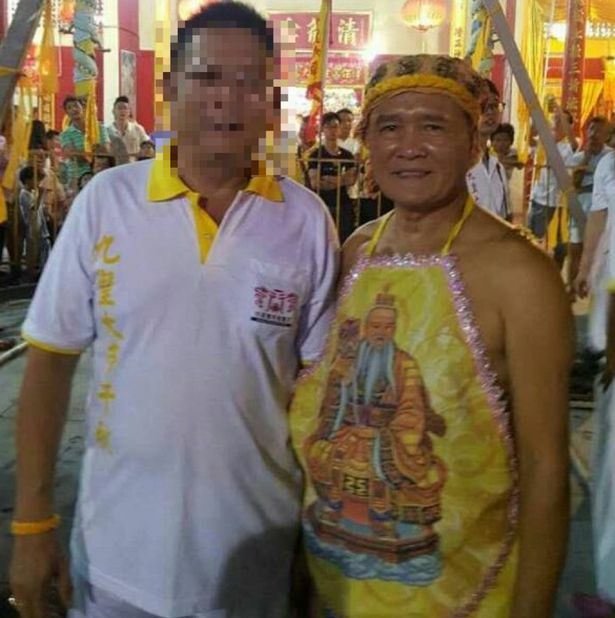 The Kuala Sanglang Qinglong temple said it would cancel all entertainment programmes as a mark of respect for Lim. One person wrote to Braden Matejka on Facebook: “You are a lying piece of s--- and I hope someone truly shoots you in the head." The actor shares two children with Lauren Shippey. Youth success seems to come naturally to Three Lions' squads these days, but would this XI transfer that to the senior game?